The Adventures of Captain Marvel…SHAZAM! 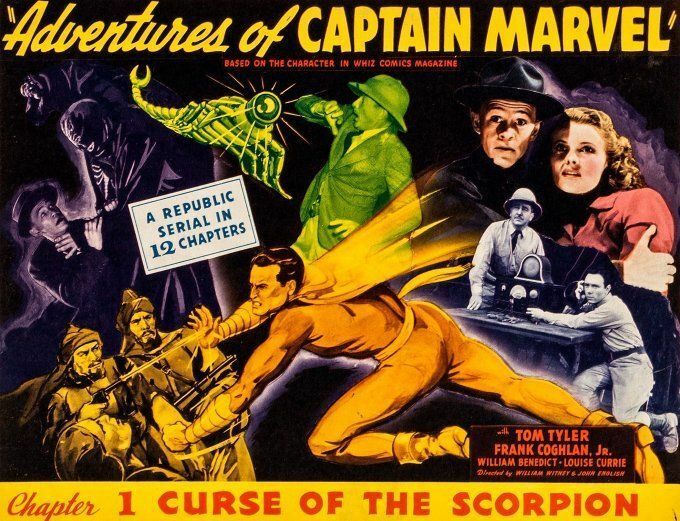 Adventures of Captain Marvel (1941) was a Republic Pictures film serial produced by Hiram S. Brown, Jr. and directed by John English and William Witney. 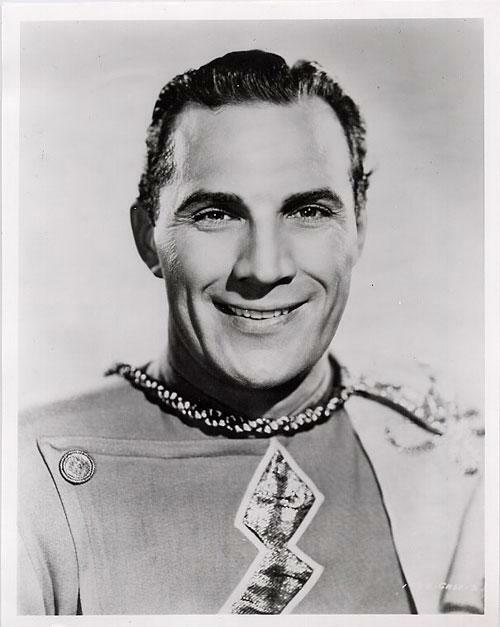 Featuring Frank Coghlan, Jr. as Billy Batson, who, when he says the magic word…SHAZAM!!! 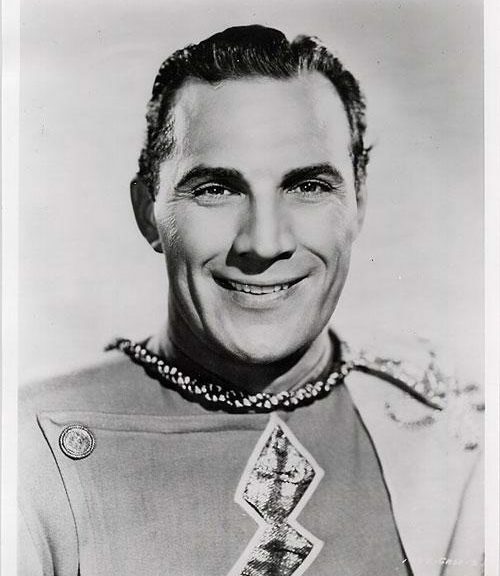 Billy becomes Captain Marvel (wonderfully played by Tom Tyler). 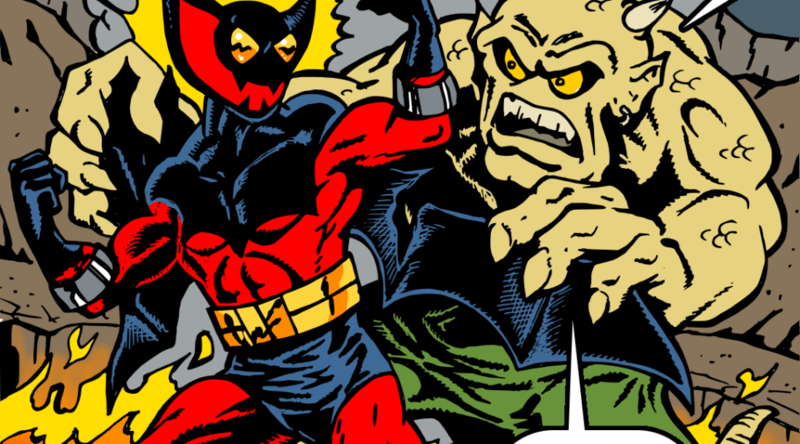 This serial was adapted from the popular Captain Marvel comic books (Fawcett Comics) Whiz Comics and Captain Marvel Adventures. “A serial, film serial, movie serial or chapter play, is a motion picture form popular during the first half of the 20th century, consisting of a series of short subjects exhibited in consecutive order at one theater, generally advancing weekly, until the series is completed. Generally, each serial involves a single set of characters, protagonist and antagonistic, involved in a single story, which has been edited into chapters after the fashion of serial fiction and the episodes cannot be shown out of order or as a single or a random collection of short subjects. Folks would crowd into theaters…where all you needed was a quarter for an afternoon of great entertainment (that quarter includes a coke and popcorn by the way). 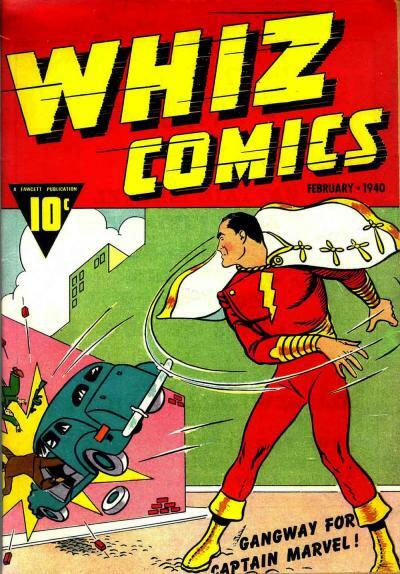 One of the top serials of all time was the Adventures of Captain Marvel….SHAZAM! indeed. SHAZAM! Returns to the Theatre! 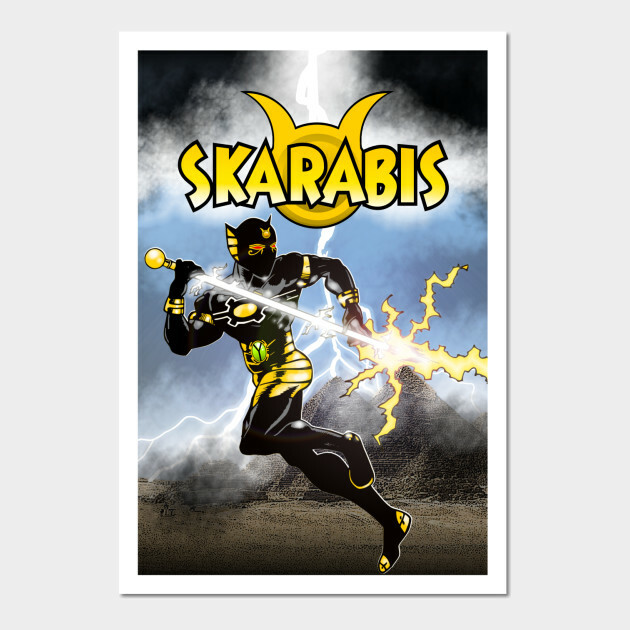 In my comics books, Skarabis is a Egyptian mummy superhero who’s creation was very much influenced by the Adventures of Captain Marvel serial. Skarabis has no SHAZAM! style magic word but I tried to make Skarabis’ name have that same classic feel. You can support Mr. Capley’s work by visiting our Teepublic store. 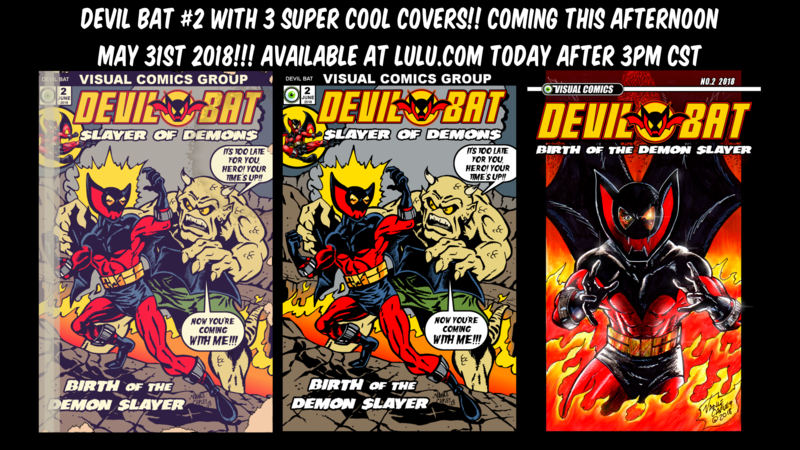 And by visiting our book store at lulu.com.